The Saskatoon Health Region and the University of Michigan examples of Lean processes show organizations that are far along in their implementation of this process improvement philosophy. Others are earlier in the cycle of learning about Lean and trying it out in their organizations. In such cases, the first exposure many people get to Lean is through rapid improvement events. When an REI occurs, a team of people who work in a given area of a hospital or clinic get together and explore a set of functions for which they would like to reduce waste and bring better value to the customers and staff. Then, they construct a process map of the given functions and explore ways to improve them. I attended part of such a session today at the Northeast Heights Clinic, an ambulatory branch of the UNM Health Sciences Center. There, Lean program manager Yvette Sena was leading the group in an exercise designed to reduce patients' waiting times after they check in with the front desk staff. She was also explaining how to translate proposed changes into a PDSA (plan-do-study-act) cycle. As noted here by IHI, "The PDSA cycle is shorthand for testing a change by developing a plan to test the change (Plan), carrying out the test (Do), observing and learning from the consequences (Study), and determining what modifications should be made to the test (Act)." Standardizing clinical variation is another aspect of the Lean process. Nurse practitioner Allyson Royer was keen on reducing variation in clinical practice related to the supplies included in injection trays. She came up with this prototype which she planned to show to other NPs throughout the clinic to create an agreement that might then result in a standard set of supplies. Earlier in the session, the staff members were coming to a consensus about a redistribution of certain tasks from medical assistants to front desk staff. You see a bit of the discussion in the video below. I have found this to be a common learning step in Lean RIEs. One group, here the MAs, determine that certain tasks are not critical to their functions and seek to have others take on those tasks. This is all right, but it is not really an increase in overall efficiency. As you can imagine, it can also create resentment. (Here, that was not the case.) As groups get more sophisticated in their analyses, they are able to dig in deeper and determine which portions of their work flow are value-added versus non-value-added from the point of view of the customers. Then, they go through the PDSA process and experiment with new work designs based on that point of view. Check out this video from the Saskatoon Health Region for a great contrast with Michael Graves' description of unpatient-friendly architect driven hospital design. When the folks in Saskatchewan needed to plan the design of new clinical facilities, they conducted a design charette based on Lean principles. The team comprised people from many divisions of the hospital. Equally important, patient and family members were brought into the design process and were given equal say and had the respect of the professional staff. It is worth watching the whole thing to get a sense of the process and the engagement of all parties. Following Dr. Kaplan's talk, UNM the residents retreat broke into work groups. I attended the one about emergency department patient flow. The UNM hospital handles 90,000 emergency room visits per year but suffers from major congestion problems. The number of hours of boarding patients as they await rooms on the medical floors has grown, and there are also a substantial number of patients (14%) who leave without being seen because of the waiting times. This is not an unusual problem in American hospitals, particularly the safety net hospitals, which face financial limitations in increasing capacity. Were we doing this for real, all participants in the ED process would be engaged in creating this process flow diagram. As the University of Michigan's Jack Billi would remind us, when a map is constructed to enable all to all aspects of the value stream, "it's not the map that's valuable. It the process of mapping, which produces a shared understanding of the value stream and which enables the front-line team to design improvement experiments together." This map, though, was being set forth for instructional purposes, next you see Dr. Marc-David Munk, one of the leaders of the session, reading off the summary chart. Peggy kept track and prepared the following summary chart. Our rough analysis -- just based on perceptions of people in the room -- yielded 853 minutes of gross time spent per patient for work that had a value of 71 minutes. This is remarkably close to the 14 hour average delay that the ED has documented. The next step, if we were actually doing this in the hospital, would be to identify measures that could be taken to redesign the work flow and conduct experiments to see what would be helpful in extracting waste out of this overall process. I am in Albuquerque, New Mexico, for a series of events related to patient quality and safety and process improvement in hospitals. We are starting this morning with a graduate medical education retreat entitled "Residents and Patient Safety" being run by the University of New Mexico School of Medicine. The keynote speaker is Dr. Jay Kaplan, who practices emergency medicine in northern California and also works with hospitals throughout the country on clinical improvement matters. I'll try to summarize key points as he talks. His theme is "Driving Hospital Quality." In his introductory moments, Jay noted that a rule of his department is bedside change of shift report. He presented a recent example from his own last shift of such a handoff to show that this protocol can help identify a patient's problems that would otherwise be missed. His major point is that customer service and quality of care are intimately related. Quality is often viewed as the "hard stuff," while service excellence is viewed as "fluff stuff." This is not accurate and misses the degree to which the latter affects clinical outcomes. Quality gets you in the game; service lets you win. One obstacle is that doctors have not been trained to be team players. They need to learn how to collaborate. Trained as craftsman, likewise, they are often not conversant in process improvement. We have to focus on both systems and people. We need people to buy into well designed systems. Likewise, though, systems have to be designed to support great people. Efficient patient flow requires aligned behaviors and cooperation between emergency departments and inpatient floors. He asks the residents to ask themselves, "What do you do every day to bring quality and patient safety to your patients?" Integrate service provision into this question. Think bakery. What does a customer notice upon entering? The smell. Do bakers notice it? No, because they are used to it. The analogy is: When people first walk into your practice, clinic, or hospital, what do they notice? What patients see, feel, and hear is different from what you and I see see, feel, and hear. We are used to the environment. They are not. View your workplace from the point of view of the patients. Here are some ideas. Take a fresh look: Change the signs. Sit down when talking with patients, so they don't think you are in a hurry. People will not hear all of your words: Use key words that will be remembered. As you pause to wash your hands, mention that you are doing so for their safety. At the end of the visit, ask "What questions do you have for me?" instead of "Do you have any questions for me?" They will always say, "No," to the latter. Here is another set of ideas, based on the acronym ICARE: Introduce yourself and Inspire confidence in the patient; Connect with the patient and family; Acknowledge what the patient has said; Review the plan of care and how long the various stages will take; Educate about what to expect and Ensure their understanding. Another key strategy is to have follow-up phone calls to check on adverse reactions from drugs, to check on patient understanding, the patient's condition, etc. This will also increase customer satisfaction. The average time it takes to do this is two minutes and will result in some of the most rewarding feedback you will get from patients. Sensible hospital furniture. Donor opportunity! This is an excellent TEDMED presentation by Michael Graves on redesigning hospital room furniture. A colleague sent it along and asked, "How realistic are his ideas in your opinion? They certainly contain several pretty good ideas. How much do you think we can gain from similar innovations around the hospital? " My answers: "Very realistic." And, "A lot. I received the following comment in response to a post. Is this a taste of things to come as accountable care organizations take hold? Does this story raise doubts at all about President Obama's promise that patients would continue to have choice under the Patient Protection and Affordable Health Care Act? Did our legislators and Governor Romney envision this result when they enacted the Massachusetts health reform law? Or is this an isolated case related to one medical practice group? My PCP is in a large multi-specialty practice in MA. The practice absolutely insists that all referrals for sub-specialty care go to providers in their practice. For the most part I have complied, sometimes reluctantly. I've seen ortho, derm, podiatry, gyn etc etc. I've given them plenty of business. But now I want to go to a sub-specialty provider outside of their practice and definitely don't want to see their doctors for this particular part of my care. They have told me they will give me a referral for one visit for a "second opinion", but otherwise if I want to see that specialist outside their practice for ongoing care, I will need to get a new PCP outside of their practice who can refer me. I told them I understand their business model is to encourage patients to stay in the group, but that I have a right to go whatever practice I want to and that my insurance will pay for. They responded that this is "managed care" and that if I want to stay with their group I need to use their providers only. I have a lot of reactions to this. I'm angry I'm being made to jump through hoops with a resulting delay in my care. I feel my rights as a patient are being infringed upon for their business interest. AND, I'm offended that they are willing to lose me as a long-term patient for this short excursion to the outside world. 1) Is this really "managed care?" I thought that had to do with my insurance limiting where I can go and how many visits will be covered, not the policy of the medical practice. 2) Can they really do this? Do I have any legal rights that, if my doctor deems that sub-specialty care is medically necessary, that they need to give me a referral to the practice of my choice? I heard of pediatricians "firing" patients who don't vaccinate their kids, so is this in the same vein... if you don't play by our rules go play somewhere else? Can't find a dentist? "Not our problem," says MA dentists. We can expect that there will objections to this from people representing established health care practices or institutions. You can be sure that those objections will often be phrased in terms of protecting the public from substandard or uncoordinated care. That is always the first refuge of people concerned about protecting market share for established players. I have seen it before in many industries. This time it is the dental societies who oppose the licensing of dental assistants who would carry out low-level dental procedures -- replacing crowns, pulling teeth, and taking care of fillings. Martha Bebinger produced an excellent report on this topic on public radio station WBUR. The Minnesota Dental Society fought creation of a mid-level dental provider and dentists in this clinic initially refused to work with Fogarty. Dr. Thomas Spray, who is supervising Fogarty on this day, says she’s working out well, but he still feels a bit threatened by the change. What is the extent of the shortage? For example, the federal Health Resources and Services Administration notes a shortage of dentists for low income people in Worcester Country generally, and specifically for the following community health centers in Worcester -- Edward M. Kennedy Community Health Center; Family Health Center of Worcester, Inc., Community Healthlink -- and for Community Health Connections in Fitchburg, Gardner and Leominster. So, we dentists are not going to provide care to certain populations in the state. But, we'll certainly oppose anybody else doing it. How moral and ethical is that? It is a disgrace that so many Americans still lack access to basic oral health care. Kids and adults miss sleep, school and work due to untreated dental disease. They can't eat properly; they can't smile. For years, the American Dental Association has been striving to raise awareness and develop solutions so more people can receive dental care. Dentists lead many of these efforts, but they can't do it alone. We all have a stake in this issue. Government, business leaders, insurance companies, health care professionals and individuals all must work together to get better dental care to the millions of Americans who don't receive it. Oral health care must be a priority. Untreated dental disease can lead to serious health problems: infection, damage to bone or nerve, and tooth loss. Infection from tooth disease can spread to other parts of the body and may even lead to death. Clearly, oral health is just as important as the health of the rest of your body. Pain from untreated dental decay results in lost school and work hours. Many with tooth pain seek care in hospital emergency rooms, most of which aren't well equipped to handle dental emergencies, and where the cost of treatment is far greater than a dental office visit. That's why we as a society must help provide access to dental care to underserved people. All of us -- government, business leaders, insurance companies, health care professionals and individuals -- must develop access to dental care solutions that work in our communities. Note to Massachusetts dentists: "All of us." As my regular readers know, I oppose protectionist policies against new health care providers who might fill a market niche left unfilled or poorly served by incumbent providers. But, at the other end of the spectrum, let's not give special treatment to those who seek to cherry-pick the system. One such attempt to do so is currently before the New Hampshire Legislature. First, the bill would exempt these facilities from the certificate-of-need process that hospitals need to pass through. That process is designed to evaluate whether a new hospital, hospital addition, or major piece of clinical equipment serves a public need versus adding to over-capacity and higher costs. That a cancer center should be exempt is inconsistent with that public process and its purpose. Second, the bill would exempt these facilities from paying the state's Medicaid enhancement tax. In a version of the proverbial patricidal/matricidal criminal asking for the judge's mercy because he is an orphan, the company asks for this exemption because it will refuse to treat Medicaid patients. Other hospitals in New Hampshire are required to treat Medicaid patients and must pay this tax. Allowing CTCA to be exempt gives it an inequitable competitive advantage over established institutions who treat all comers. Exciting news! Nope. I feel like a hamster. Some time later, I received this message: "Please login (sic) to ABC Medical Group patient portal to view your lab results." So I try to log in to get my lab results but cannot retrieve them. I ask for a password reminder. The amusing (but more than a little frustrating) part of it was that they had sent me a new password, but both my husband and I could not enter the password because there were a bunch of capital Os and the letter 0, along with lowercase os. We both tried a number of times and combinations and none worked. I figured, though, that I would try again. To get my password, there was a security question I had to answer: "What is my profession?" I replied "gardener" as I had answered when my doctor asked me the other day. The transaction failed -- "improper response." It is not my fault that he did not transmit the correct answer after he filled out the questionnaire the other day. I feel like a hamster running on a wheel. 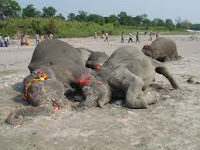 The concept of an elephant graveyard, the place where the pachyderms reportedly go when it is their time, is well known. Lesser known -- until right now -- is the nip graveyard. Regular readers will recall my rant from last weekend about the miniature plastic liquor bottles that are tossed out of car windows onto the streets. They indicate a scary amount of alcohol in the bloodstream of drivers in our neighborhoods. But not all nips enter the environment from moving cars. It appears that a large number of imbibers also drain them on their way to or from mass transit, presumably before or during dates or going to clubs. I guess I should feel better about the fact that these folks, at least, will not be driving cars. But why do they feel it necessary to toss out the bottles on ground on the walkway to the train, when there are garbage bins within sight? This creates the nip equivalent of the elephant graveyard, as documented in the short video below. It was taken near Cleveland Circle in Boston, on the passageway to the Green Line. If we can't stop the littering habit, why doesn't the MBTA (our transit agency) clean up this mess? 4 -- Establish a fee schedule that pays doctors more if they leave fee-for-service and form organizations that will coordinate care or take on the financial risk of managing a patient's care for a year at a fixed fee. There are germs of good ideas in here, but it doesn't hold together. Let's look at reality. Medicare has had the authority for years to adjust the relative fees paid to specialists and primary care doctors. The Wall Street Journal has described the process. A secretive body called the Relative Value Scale Update Committee, dominated by specialists, sets the rates. With regard to overpriced services, Medicare also has had the authority to make changes. Yet, even where the evidence supports lower prices, like irradiation by proton beam machines for "regular" cancers, it persists in paying more and enabling the medical arms race. How can you be held accountable, as a provider group, if you cannot control the management of care of your patients? These things proposed by The Times do not change because the interest groups that drive politics in Washington are quite content with the status quo. It is politically hard to change the rules because "one person's costs are another person's income," and Congress and Administrations are loath to take away from powerful interests. Further, there is no way Congress will limit choices among the Medicare population, the cohort that always votes in elections. The second source of change will be those provider institutions that adopt an approach based on patient-driven care, elimination of preventable harm, transparency of clinical outcomes, and front-line driven process improvement. This is the path to greater efficiency and a change in cost trends. New technologies by themselves cannot create more robust patient-provider partnerships. But, with a lot of ingenuity and thoughtful design, and a commitment to creating tools that help put patients more in charge of their health, technology can be a game changer. That’s the guiding principle behind some fascinating work under development at the MIT Media Lab, and that’s where WIHI is headed for its first-ever “live on location” broadcast on February 23. If you’ve never heard of NewMediaMedicine, you’re in for a treat. Using a conceptual and software platform called CollaboRhythm, researchers are designing and testing tools that offer patients real-time data about their own chronic health conditions that can then be easily conveyed to a health care provider, enabling coaching and communication practically on the spot. It might sound glib to refer to primary care as a shared environment that can be tapped on an “as-needed basis,” thanks to a couple of smart phones, but in the health care world that NewMediaMedicine envisions, the best primary care will be transformed into something less like a single office visit and more like a daily engagement with one’s health goals, with expert advice available when necessary. This special “on location” WIHI is taking place on the heels of the Media Lab’s third annual Health and Wellness Innovation sprint that took place at the end of January. In addition to what’s in the testing phase now, we’ll find out what teams of students, health professionals, and innovators are imagining next. Bring an open mind and your curiosity to this next WIHI. We hope to see you then! [D]ata released in February by the Agency for Healthcare Research and Quality show that most physicians, nurses, pharmacists and other health professionals working in hospitals believe their organizations are still more interested in punishing missteps and enforcing hierarchy than in encouraging open communication and using adverse-event reports to learn what's gone wrong. These findings underlie the tragedy in medicine that results in thousands of preventable hospitals deaths each year and untold harm to other patients. Correcting this problem is a matter of leadership, plain and simple. The clinical and administrative leaders of hospitals need to set a different standard. I felt that those involved had been punished enough by the searing experience of the event. They were devastated by their error and by the realization that they had participated in an event that unnecessarily hurt a patient. Further, the surgeon immediately reported the error to his chief and to me and took all appropriate actions to disclose and apologize to the patient. He also participated openly and honestly in the case review. I think he was exactly right, and I believe this is the heart of the logic shared by our chiefs of service during their review of the case. Punishment in this situation was more likely to contribute to a culture of hiding errors rather than admitting them. And it was only by nurturing a culture in which people freely disclose errors that the hospital as a whole could focus on the human and systemic determinants of those errors. As an infrastructure groupie, one of the features that I like on the new website GoLocalWorcester (for which I have started writing a weekly column) is the SeeClickFix feature. This is an app that lets you report potholes, broken street signs, stray grocery carts, or whatever to your city officials. Years ago, I taught a course in infrastructure planning and development at MIT. The first assignment for the students was to find something broken in their community and try to get it fixed by the relevant government agency. About a third of the students would succeed in the two months allotted for the assignment. As you can imagine, there were lots of good stories as students learned how their municipal government functioned. Of note is that they were often made to feel like troublesome interlopers as they did their civic duty in reporting these minor problems of public safety or inconvenience. How much better that city governments have now accepted the validity and value of citizen reporting. Back in June of 2010, Boston Globe columnist Steven Syre noted that Fallon Community Health Plan was in weak financial condition. Fallon is not in dire shape, but it isn’t rock-solid either. The insurer’s risk-based capital, a key measure of financial security, stood at 271 percent at the end of last year. The ratio was 600 percent at Tufts Health Plan and 724 percent at Blue Cross Blue Shield of Massachusetts. Fallon’s own ratio two years earlier was 566 percent. Fallon is one of the state's smallest health insurers, dwarfed by giant Blue Cross Blue Shield of MA, but even by Harvard Pilgrim Health Care and Tufts Health Plan. What it has going for it is a strong market presence in Central Massachusetts. It also has very favorable ratings from subscribers. The latest Consumer Reports survey gives it a rating of 92 out of a hundred, putting it in the "US Top Rated" category. Along those lines, too, it is ranked in the top 20 health plans out of almost 400 in the country by the National Committee for Quality Assurance and is the only health plan in Massachusetts to have been awarded “Excellent” Accreditation by NCAO for its HMO, Medicare Advantage and Medicaid products. It has had a slight dip in membership in the last year, but not enough to merit concern. Financial results are also improved and appear stable. Fallon's CEO, Pat Hughes, is a very able person and, as you would expect, optimistically describes the company's prospects, citing its ability to be nimble and responsive to local concerns: "Fallon is a jewel, in my mind. It has been innovative and creative in its marketplace for the last 30 years." When asked if he will need a strategic partner as consolidation occurs in the health care world, he humorously replies, "Well, we were thinking of acquiring Blue Cross." The marketplace requires choice. As limited networks provide additional choice, it’s important to have those. In terms of global payments, I don’t think one size fits all. There are those institutions that are ideally suited for it. There are those that over time can move from volume-based fee for service to more of a global capitated arrangement. And then there are other situations where you might want to stay with fee for service. But it is reasonable to ask the question of whether Fallon's market position is sufficient in the highly competitive and very changeable health care marketplace. With about 215,000 subscribers, Fallon is well below the number that I have heard from industry experts -- 2 million -- that is required to have sustainable operations in the health insurance world. As in financial services, you need a certain size to have economies of scale in financial transactions, and the asset base to protect you from large market fluctuations. The overall trend is that health insurance companies will become financial services organizations more than insurance entities. Think of them as another form of banking, where minimizing transaction costs becomes imperative, and where the use of derivatives and other hedges makes the difference in who makes money and who doesn't. The need for a large asset base and earning capacity has been aggravated by recent state actions that limit premium increases for small business and individual policies. That action has explicitly made that business line unprofitable. In essence, insurers now have to raise rates on other market segments (a very difficult thing to do) or hope to make up the losses on investment income (impossible in this era of low returns) or simply have lower profit margins. My Central Massachusetts friends express great loyalty to this long-standing member of the community. But those friends, facing their own budget problems, are ever more sensitive to the issue of health insurance premiums. The question for the next decade is whether Fallon's creativity, nimbleness, and connection with the community will help it offset the unsentimental forces of its industry, bucking the trend and prevailing as a home-based enterprise. I think it is worth rooting for. I have previously expressed my admiration for the actions of Dr. Jim Yong Kim, President of Dartmouth, in creating a new degree program focused on process improvement in the heath care delivery system. That program is doing very well. I wish other universities would follow this path. As an example of the scope of interest and diversity of the student body, here's a video from U.S. Navy Commander Matt Grimes in which he explains how he will use lessons from Dartmouth in his work trying to reduce costs as Navy medicine carries out its mission. Why not here in ______? Maryland’s 46 acute-care hospitals will soon be able to share basic patient information among themselves and with credentialed doctors, a key step that health officials and clinicians say will improve patient care and cut costs. The development, announced at a news conference Friday at Holy Cross Hospital in Silver Spring, is being led by the Maryland’s health information exchange, a statewide system that is working to promote the secure electronic sharing of health information among approved doctors’ offices, hospitals and other health organizations. If you ask the question here in Massachusetts, the answer is clear. The dominant provider network had for years an interest in not permitting its patients to be easily seen by other hospitals and physicians. Indeed, that corporation made note of its proprietary information system as part of an investors' conference several years ago, in support of its case for being fiscally strong. Perhaps that has changed. Maybe someone will post a comment and let us know. The minimum goal is that it should be possible to be seen at any emergency department in the state and have those ED doctors and nurses be able to get access to your medical record from your home institution and physician's office. Beyond that, if we want to foreclose ACOs from having a strong hold on patients by making it hard for them to be seen by competing systems, we need "dial tone." As long as proprietary electronic medical record systems exist, a given provider network can control the degree to which patients can choose lower priced or higher quality doctors and hospitals outside of that network. As the Post story indicates, it takes time to have a fully functioning interexchange system, but if you don't start it doesn't ever get done. These are nips, small bottles of alcoholic beverages. The vodka and whiskey ones are 50ml in size and are 40% alcohol. So, when someone chugs one, he is swallowing 20ml of pure alcohol. * Someone out there can tell me how many you need to drink in what time period to be legally drunk (.08% blood alcohol concentration), but even short of that threshold, driver performance is impaired. The severity of alcohol-induced impairment depends on the amount of alcohol present in the bloodstream, which is based on a person's blood alcohol content (BAC) percentage. Most people begin to feel the effects of alcohol when their BAC ranges between 0.03% and 0.059%. At this point, the person feels mild euphoria, relaxation, and talkativeness, but he or she suffers from impaired alertness, judgment, coordination, and concentration. When an individual's blood alcohol content reaches between 0.03% and 0.059%, the brain's ability to handle tasks required for safe driving becomes impaired and more severely hindered as the BAC level increases. The brain's ability to control eye movements and process information is affected simultaneously. This means that alcohol-impaired drivers take more time to read signs or respond to traffic signals or other drivers. At this BAC level, steering is affected in combination with the driver's ability to stay in the proper lane. It appears that 9,000 to 11,000 people per year are arrested for driving under the influence in Massachusetts. Most of those are on the highways. The bottles I am finding, though, are on city streets, both main streets and residential areas. Alcohol-impaired drivers also have difficulty concentrating on multiple tasks at a time. For example, a driver may be able to stay within the boundaries of a lane but forget to monitor his or her speed. So if we add talking on the cellphone or texting to the equation, we have an even more serious problem. The latest report I can find reports 11,773 fatalities in alcohol-impaired-driving crashes during 2008, representing an average of one alcohol-impaired-driving fatality every 45 minutes. Sixteen percent of children 14 and younger killed in car accidents were killed when at least one driver had a BAC over .08%. But the report only includes incidents where the BAC was over .08%. These nips indicate that there are plenty of other drivers on the road who should not be. * Yes, I know that drinking a can of beer has a similar amount of alcohol: A can of beer is 355 ml and has 5% alcohol, for a total of 17.75 ml of pure alcohol. And I also see plenty of beer cans on the roadside. But the nips are especially problematic in that they are often swallowed in one mouthful. Levy persuasively portrays the idea of a leader as coach, as a steward of purpose who secures collaboration and commitment through a culture of trust. His insights on leadership are applicable in any work setting. The book is invaluable in furthering organizational success; not only does it address the role of the CEO, but it guides the leader in development of all organizational members. As the chapters sequentially unfold, Levy scopes out a concurrent learning process for an institution as well as the individuals who comprise it. As coach the CEO proposes a format for inquiry but not a prescription for outcomes. Empathy and expressed trust imbue members with a sense of accountability. This is a book replete with insight–and one of its key tenets is that truly wise leaders will recognize the wisdom of others. Levy expounds on the paradox that less can be more. A coach diffuses leadership and develops people. By protecting team members from organizational rain, the coach allows them to own the solutions that they are so well positioned to uncover. Transparency trumps tribalism, and the blame game is jettisoned in the quest for betterment. Beyond a culture of civility and collegiality, Levy calls for one of candor where recognition is conferred on those who “call out” problems. Levy profiles the role of a leader in creating a productive, values-based organization where those on the front line assume ownership for problem solutions. Levy draws on the compelling leadership lessons he has distilled from “coaching” in the public sector, in educational and medical administration, and in soccer leagues. Across these respective domains, he shows a common denominator for team success. In the process Levy shows his familiarity with the literature and at the same time makes theory relevant through his abundant use of compelling encounters. I went to a Lean seminar last year where the pig exercise was used. This year I was part of a group at my hospital training in adaptive design, and I used the pig exercise to show the benefits of standard work. The leaders of the group loved it! This remains one of the simplest and most effective demonstrations of the value of standardized work in reducing variation and improving accuracy and efficiency. Its virtue, too, is that people of all backgrounds can play the game together and find a commonality of experience. Is this good news or bad? It seems to be good. After all, early elective deliveries can be a cause of medical complications, interrupting the full development of babies. As Leapfrog notes: "There are medical reasons to schedule a delivery before the 39th completed week, such as if a woman has high blood pressure at the end of pregnancy or broken membranes before labor begins, but these are rare." According to Leapfrog, there is still wide variation among hospitals. Let's look at Central Massachusetts for examples. St. Vincent Hospital in Worcester had a terrible rating, 39.8%. Ditto for Heywood Hospital in Gardner, at 21%. In comparison, the rate at Milford Regional Medical Center was 3.3%, well within the guidelines. This is stunning. As Leapfrog CEO Leah Binder said, "The ultimate solution is for hospitals to simply forbid early deliveries that are not medically indicated and then enforce the policy." When an expectant mother arrived at the hospital for an elective induction, nurses completed an electronic check sheet that summarized appropriateness criteria. If the patient met the criteria, the induction proceeded; if not, the nurses informed the attending obstetrician that they could not proceed without approval from the chair of the obstetrics department or from a perinatalogist—a specialist in high-risk pregnancies. Elective inductions that did not meet strong indications for clinical appropriateness fell from 28 percent to less than 2 percent of all inductions. There are lots of reasons why an expectant mother and her doctor might choose to deliver the baby before its due date: the health of mom or baby, the doctor's schedule, the demands of work, or even to hit or avoid a specific birthday. But if that perfect day falls before the 39th week of pregnancy, and there’s no medical reason for an early delivery, many hospitals in Massachusetts are saying no, you have to wait. At Massachusetts General Hospital, Dr. Jeff Ecker, a high-risk obstetrician, is the gatekeeper. Each week Ecker reviews the schedule for early inductions and C-sections to see if they are all medically necessary. What's the other bad news? Currently, only hospitals that participate in Leapfrog’s annual hospital survey make this information public. In 2011, roughly 1200 hospitals — about 1 in 4 — completed the survey. Again looking at Central Massachusetts, among those declining to respond were U Mass Memorial Medical Center, Marlborough Hospital, Clinton Hospital, and Health Alliance in Leominster. Frankly, this is almost more troubling than hospitals that report bad results. Transparency of clinical outcomes is one of the most important steps in process improvement. After all, if you are not open and honest about how you are doing, it is very hard to improve. Why aren't patient advocates, employers, and insurance companies demanding these recalcitrant hospitals to open up their books and show the results? Short of that, why aren't insurance companies directing patients to those hospitals that are willing to be transparent about such matters? Parkland Memorial: Will transparency finally rule? I would say that the only way structural improvement will happen is if the hospital opens itself up and adopts a policy of transparency of key clinical measures going forward. Why? Imagine that you are on the staff. You have now been buffeted by incredible levels of adverse publicity and you have been working in an environment that apparently did not sufficiently value quality and safety improvement. To hold your head high for the future, you will want to prove to yourself, your colleagues, and the community that things have changed and that results have been achieved. Unless the numbers are made public, and in real time, people's loss of trust and faith in the hospital cannot recover. I'd love to see someone in Dallas buy into this concept. I am pleased to announce the publication of my new book, Goal Play! Leadership Lessons from the Soccer Field. Regular readers know that I am a bit of a fanatic about soccer -- well, more than a bit -- but you might not know that I have been coaching girls in our town for over two decades. During that time, I also was privileged to have several leadership positions, and I often noticed parallels between what worked well in the two settings. This book draws on a series of anecdotes from "the pitch" and ties them into my theories of effective leadership. As in all such matters, I have benefited from the advice and experience of many others, and I am hoping that people who are in leadership positions -- or want to be -- can likewise benefit from my perspectives. This is not your traditional business book, where you can read the introduction and skip the rest. Each chapter has a rich mixture of stories, practice, and theory. I hope you will find it engaging. You'll find some reviews, including from some people you might know in health care, here. 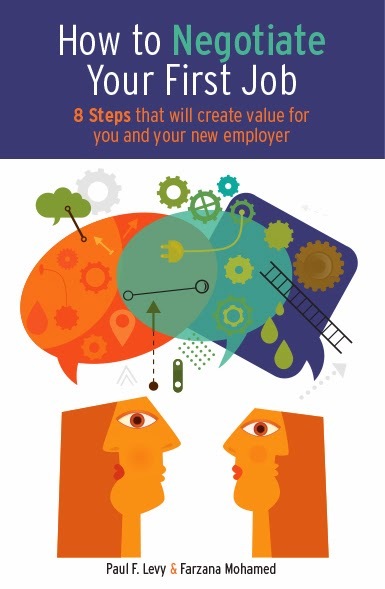 Some of you are in corporations, hospitals, or other organizations where you might find the book to be useful for your staff. Please let me know if that is the case, and I can arrange a bulk discount. Of course, I would be happy to come and speak to your company or institution about the book and my experiences on and off the pitch if you felt it would be valuable. Please let me know what you think of the book if you read it. The email for doing so, for bulk purchases, or contacting me about anything related to the book is goalplayleadership [at] gmail [dot] com. The Jubilee Project offers us this Valentine's Day special edition, asking "What is love?" Here's a timely piece in light of Don Berwick's comments below, an RFP issued by e-Patient Dave deBronkart for treatment of his skin cancer. I’ve decided to approach exploring my options by doing what companies do when they’re shopping for a solution: they write a Request for Proposals, and let vendors reply. Dave even includes a copy of the RFP, in Google Docs. Sy Syms, CEO of Syms Corporation, used to say in TV ads, "An educated consumer is our best customer." Will that be the case in health care? Will educated patients like Dave start perturbing the system to be responsive to their concerns about cost and quality? Will hospital and physician groups respond achieve greater business success if they work with educated patients to determine the best venues and approaches for treatment? Or is there too much friction in the health care world standing in the way of real customer choice? By the way, Syms declared bankruptcy recently and closed all of its stores. When is a comparison not a comparison?